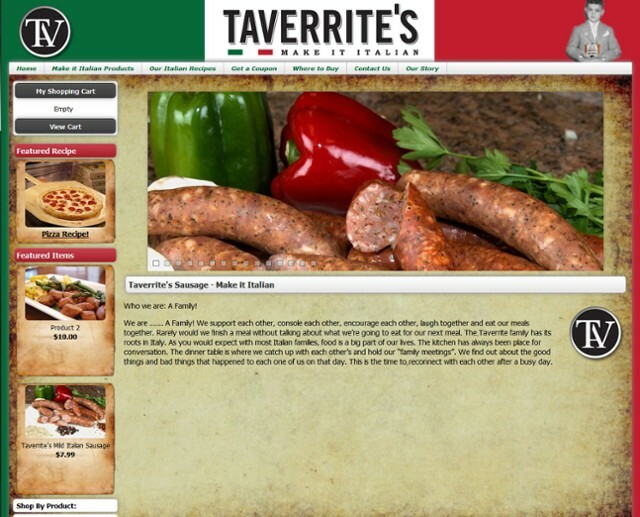 Zomix Content Management provides complete control over this e-commerce website. Shopping cart options include real-time shipping calculations and credit card processing. Extensive use of our page teaser module, allows this site to have a multitude of articles that are easy to find. Creating articles, adding pictures, is all a snap with Zomix's Content Management System. All original graphic design by Racine-Web Design. 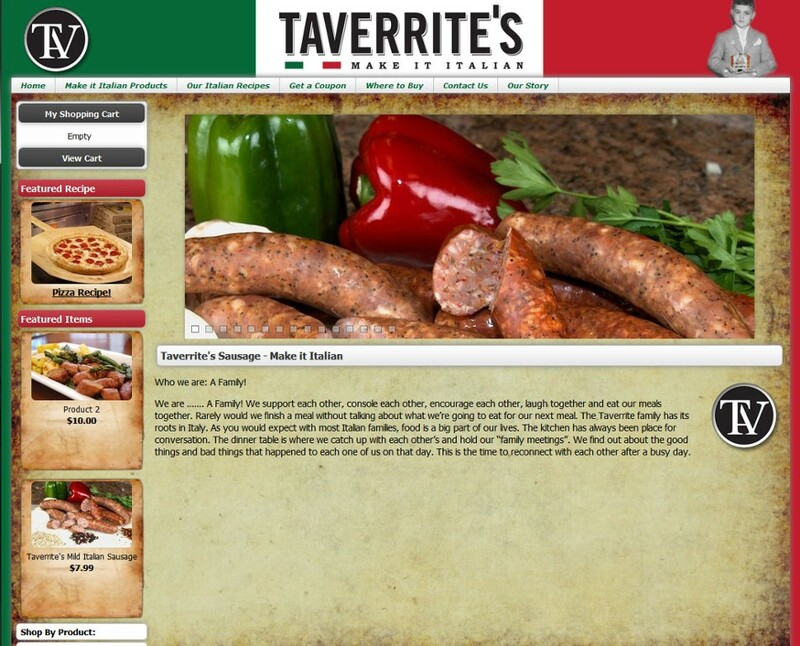 Taverrite's Italian Sausage is second to none, mouth watering brilliance!